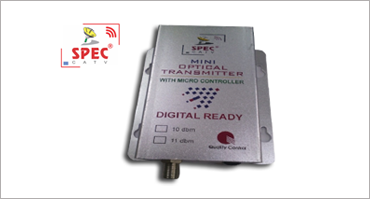 Mini Optical Transmitter is very small in size but very accu-rate in performance. Very high Technical calculation is incor-porated with it. It produces 10dbm Optical power or 11dbm optical power with very accurate RF output at receiver end.